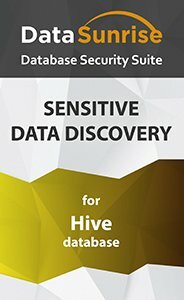 DataSunrise Data Discovery for Apache Hive is a very convenient solution that lets you find quickly all sensitive information contained in Hive databases. The Data Discovery tool is designed to find any type of information in a database: personal, financial, medical, etc. Also, database owners and admins can customize searching for sensitive information. What does data security start from? Right, at first, we need to understand what data we need to protect. The second question is what information and where it is stored. A few more questions. Who has access to data? Are security controls in place and effective enough to protect sensitive data? These questions asked and answered help to build a reliable database security system you can rely on. But it all starts with identifying data you want protected. DataSunrise Database Security Suite has a built-in tool to find all data that needs protection. Searching for data is effected through a set of predefined filters that can be customized, though. The search for sensitive information can be conducted in all customer databases or in a specific database, table or schema. After specifying the location and data types to be searched DataSunrise identifies the columns containing the sought-for information, and then data masking, audit and security rules are created. Rules allow a database administrator to limit data exposure and set the appropriate level of protection. DataSunrise Data Discovery for Apache Hive allows organizations to achieve complete visibility of the data they process and meet the compliance requirements of HIPAA, PCI-DSS, SOX, GDPR, etc.